For more information, please contact Francesca Ryan, Director of Development, at fryan@prepforprep.org. Thandiwe Scott (XXXV/Saint Ann's) recently started the 10th grade at Saint Ann’s. 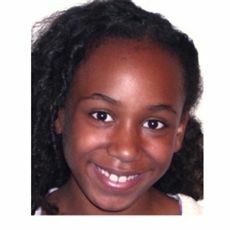 Described as having “an effervescent personality,” Thandie is a star student who is greatly admired by her teachers and peers. In addition to her stellar academics, Thandie has a strong passion for the performing arts. She is an enthusiastic poet and has performed some of her original work at adult poetry readings around Brooklyn. She is a dedicated actress, performing in all of Saint Ann’s theatrical productions and spending a lot of her free time working with a theater group outside of school. Thandie’s warm and outgoing personality and her dedication to her studies has made her an exemplary student in the Saint Ann’s community. Michael Prieto (XXXVI/Grace Church) is in the 9th grade at Grace Church and lives in Queens with his mother, his aunt, and his father, who is a chef. Michael is Columbian and Peruvian and speaks Spanish at home. Michael’s hard work and admiration from his peers and teachers earned him the “Triple-C Award: Commitment, Courage and Character” at Grace Church. He finished middle school with an A+ in Latin, an A in Math, A-’s in French, History, and Science, and a B+ in English. 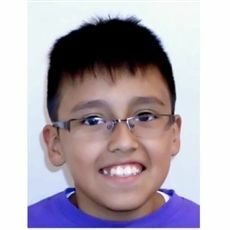 His teachers describe him as a “sharp thinker and outstanding scholar” who goes above and beyond to succeed academically. Outside of the classroom, Michael participates on several sports teams at Grace Church, including soccer and baseball. All of us at Prep look forward to watching him grow throughout high school. 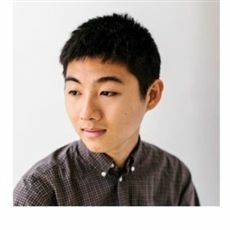 Brian Zhao (XXXI/Dalton '15, Brown) is in his sophomore year in Brown’s combined BA/MD program, where he plans to concentrate on Applied Math and Chemistry. This semester, he is taking Evolutionary Biology, Evolution of Infectious Diseases, Methods of Applied Mathematics, and Organic Chemistry II. He is hoping to be able to partake in research that is at the intersection of math and disease evolution. On-campus, Brian is involved in the Chinese Students Association as the logistics chair and Brown Science Prep, a mentoring program for local Providence high school students. This semester, Brian joined the Brown Ballroom Dance Team and is an editor for The Triple Helix, a science magazine on campus.